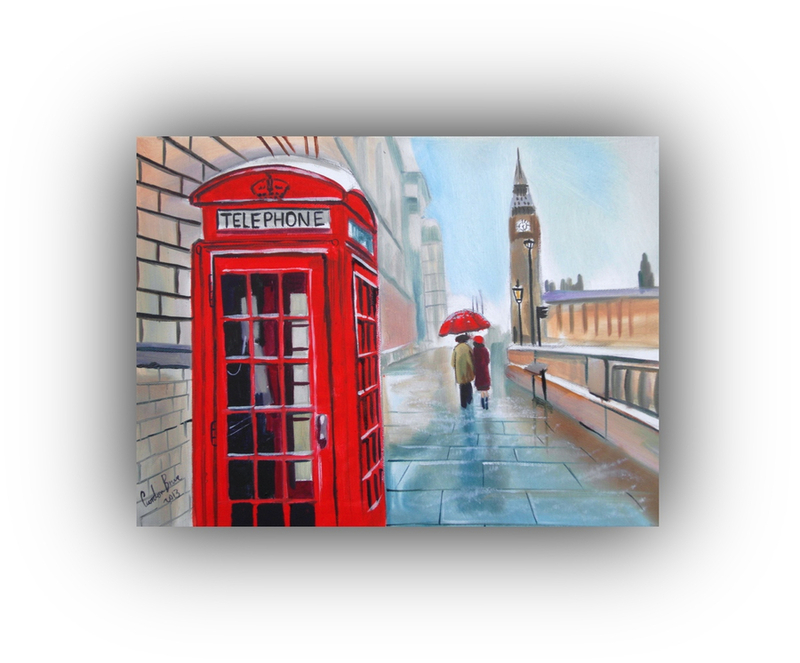 This page shows some of the artists' "red paintings". 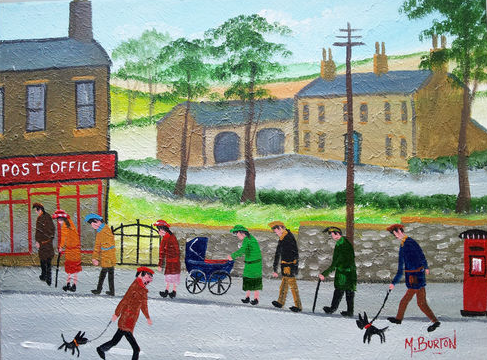 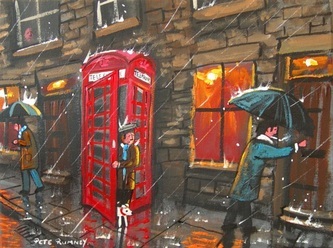 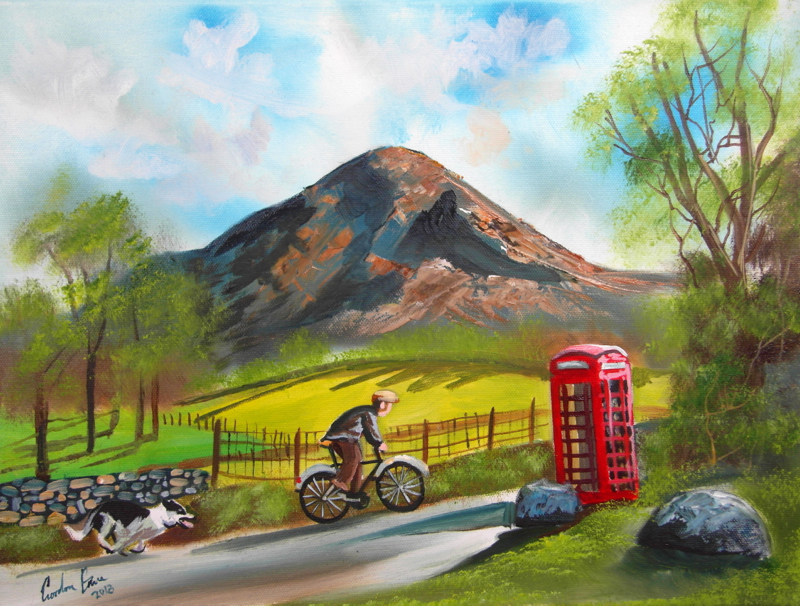 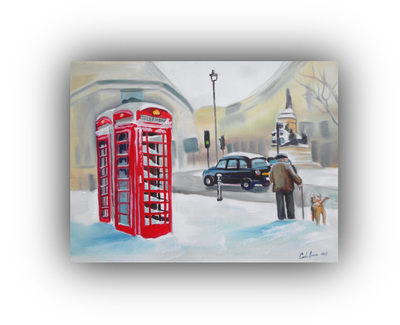 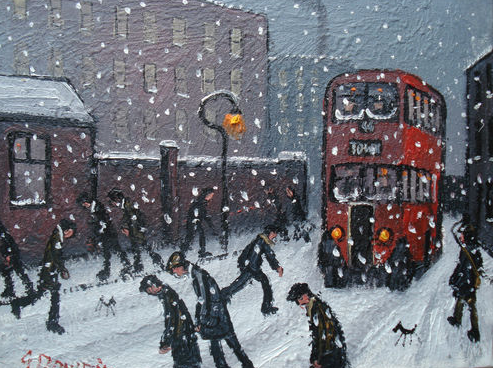 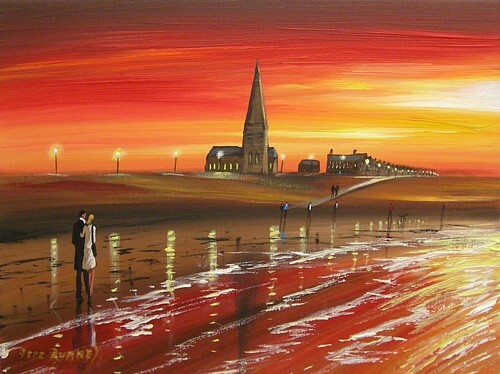 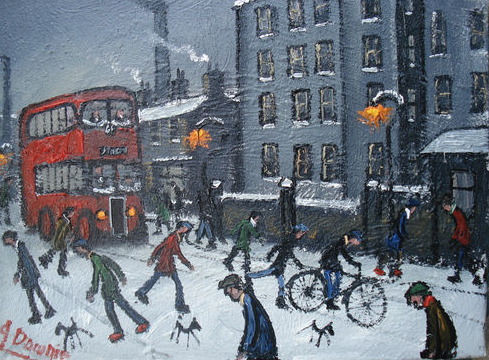 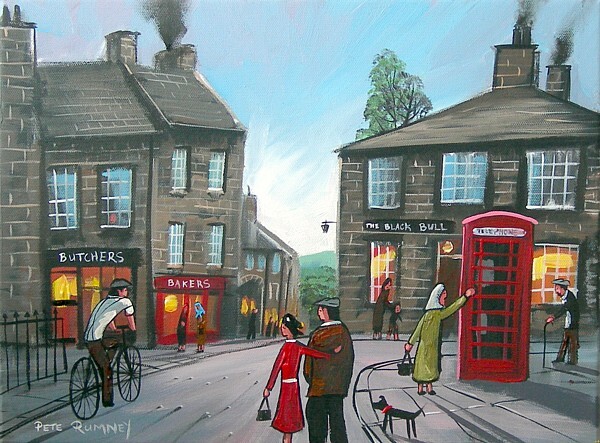 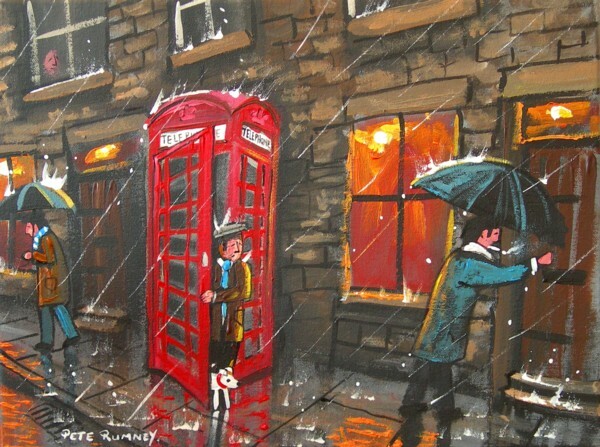 British red phone boxes are commonly seen in the paintings of our artists especially from the work of Pete Rumney. 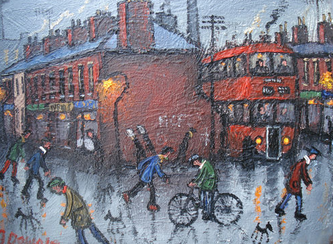 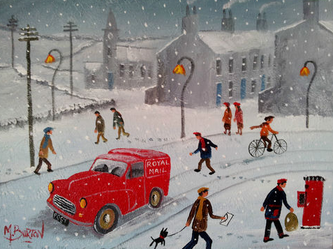 This page features some of those great works of art which features red phone and post boxes.